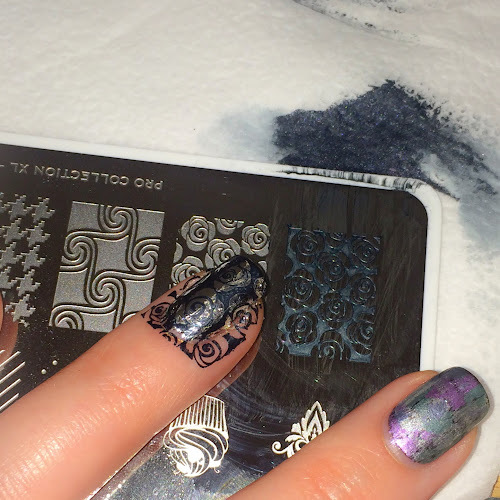 I had intended to keep my stamping plates away for the duration of the challenge, but I thought I'd treat myself after trying out a new technique. These are my dry brushed, metallic nails. And I actually like them. \0/ yay! So I included some pics on the "how to" and "what for". 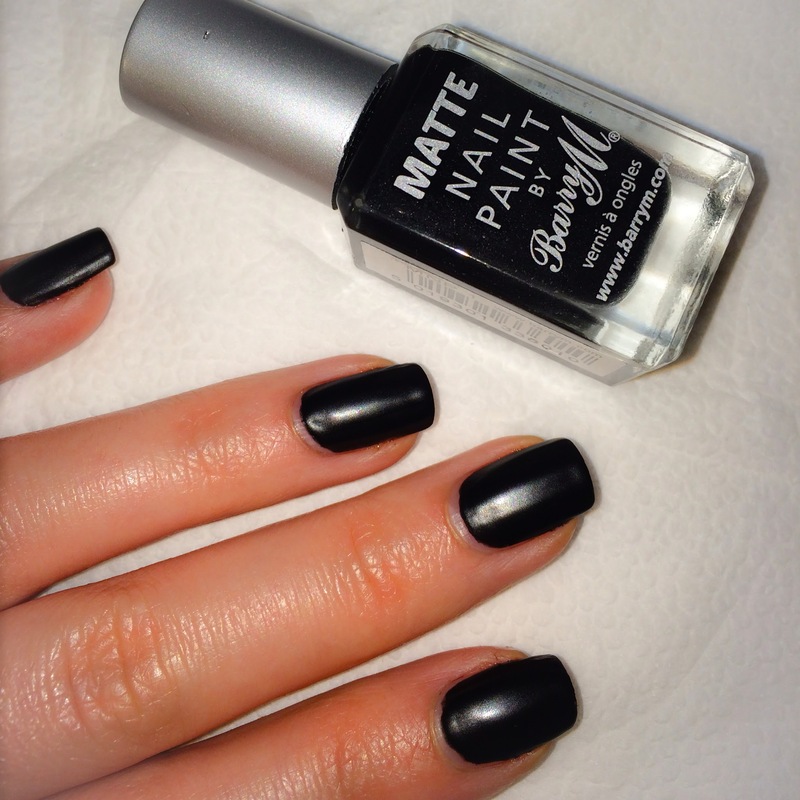 I chose a matte black base colour as it dries faster, and I thought the finish would help the next step. Start with one of the metallics, and wipe of as much of the polish in the neck of the bottle. Now randomly apply brush strokes to the black base. You will need to reload and wipe off the brush every so often. Move onto the next colour, filling in the spaces of black. 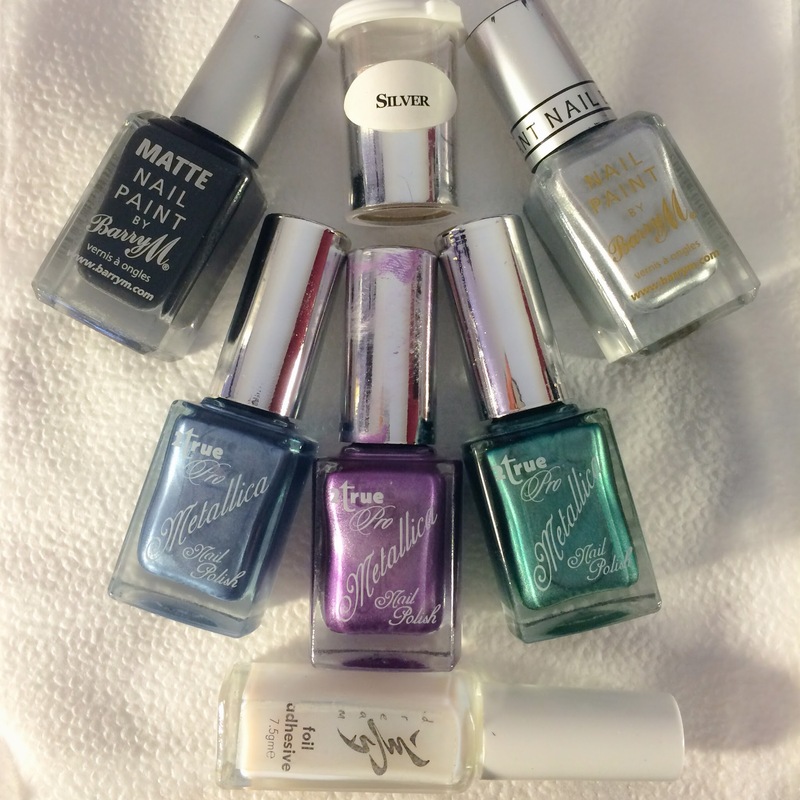 Don't be afraid to overlap, or redo a particular colour. Apply your foil adhesive to the full nail, it should appear blue like this. 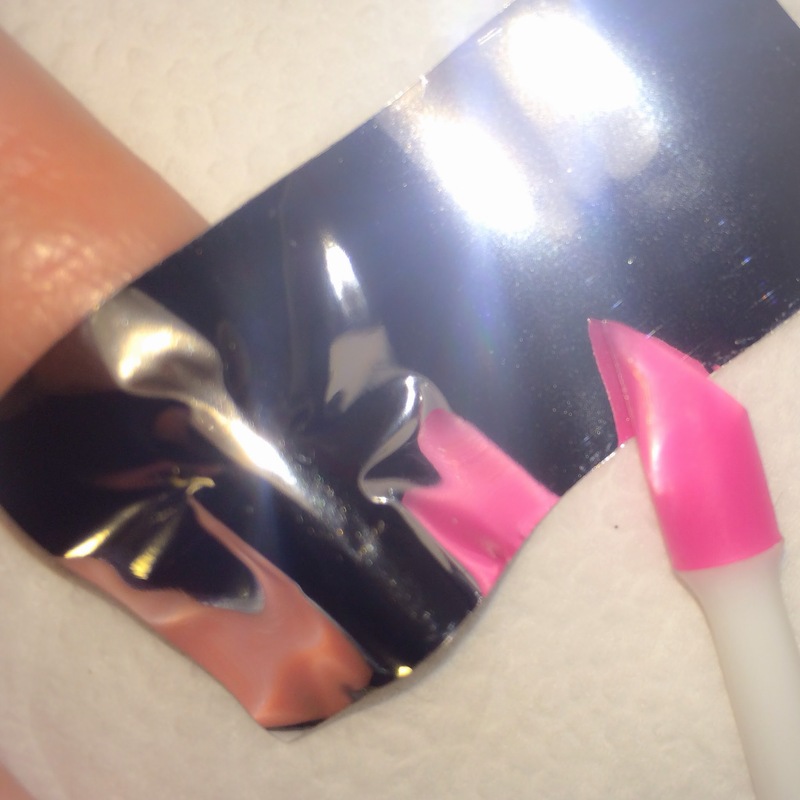 Don't touch the nail with foil adhesive until it looks fully transparent, with no blue hue to it. Now we're ready to apply the foil. 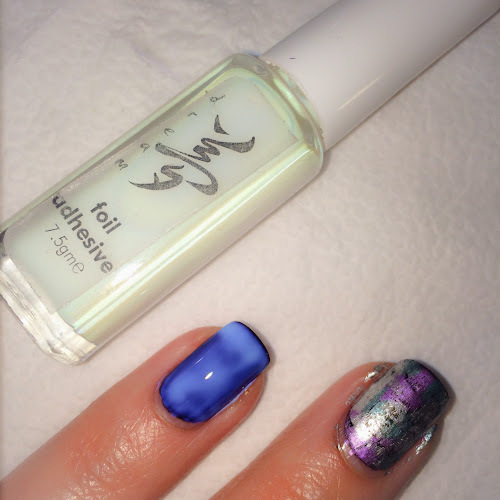 Press the foil onto the prepared nail and use your finger, or a silicone cuticle pusher to smooth the surface of the foil. The angled edge of the cuticle pusher is ideal for getting to the edges of the nail. 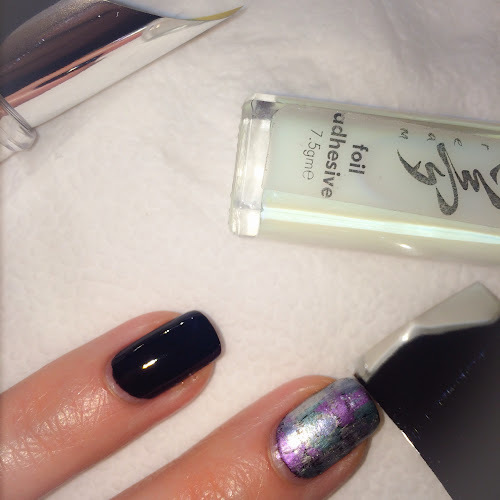 Pull off the leaf of foil, and the silver should have been transferred onto the nail. Patches and spots can be fixed by placing the foil back over (on a new piece), and rubbing. 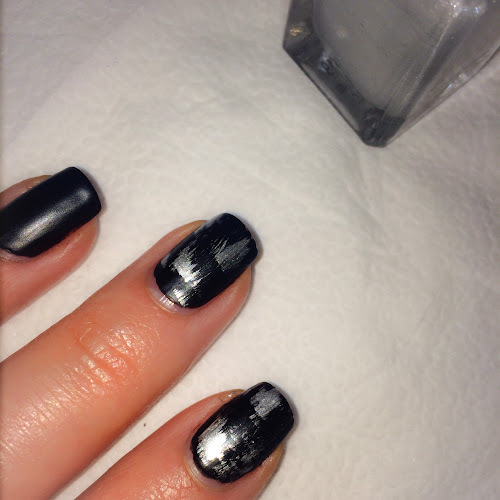 I felt the siver foil was too shiny to compliment the brushed nails, so I applied a black stamp directly over it, just as you would normally. Apply top coat, and clean up the edges, and you're done. Remember to check out the work of my challenge buddies.